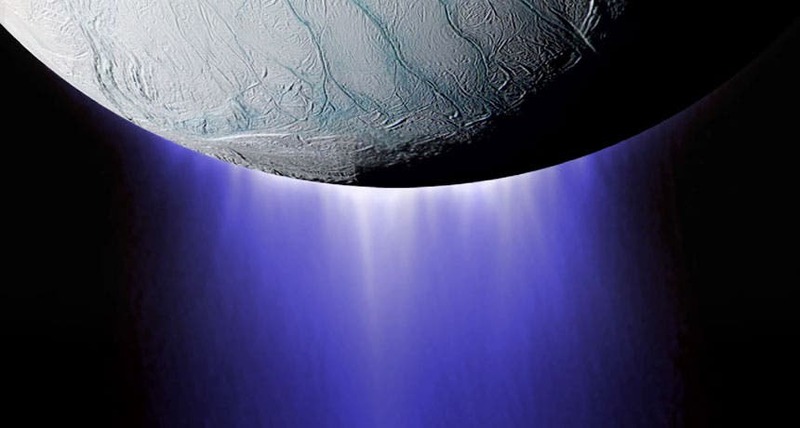 “We now know that Enceladus has almost all of the ingredients that you need to support life as we know it on Earth,” said Linda Spilker, a Cassini project scientist who said the finding essentially confirmed vents on the moon’s seafloor. Chris Glein, another scientist involved in the mission, said the discovery showed that the moon’s ocean contained a potential chemical feast for microbes. “We have made the first calorie count on an alien ocean,” he said. 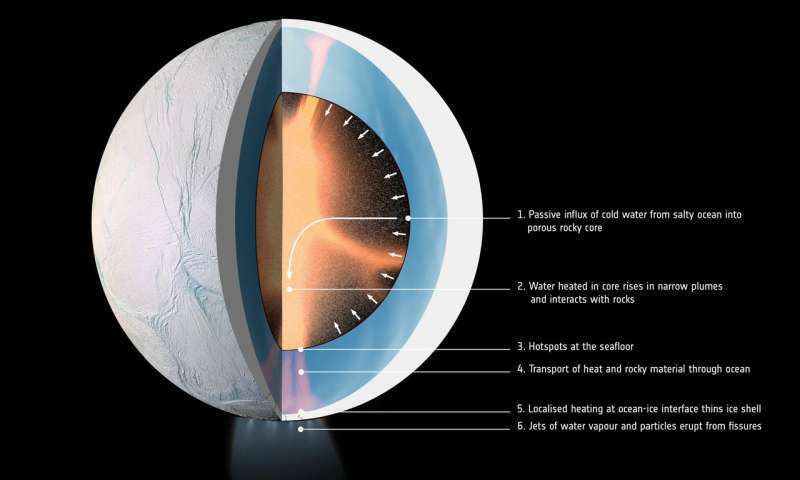 Enough heat to power hydrothermal activity inside Saturn's ocean moon Enceladus for billions of years could be generated through tidal friction if the moon has a highly porous core, a new study finds, working in favor of the moon as a potentially habitable world. A paper published in Nature Astronomy today presents the first concept that explains the key characteristics of 500 km-diameter Enceladus as observed by the international Cassini spacecraft over the course of its mission, which concluded in September. As Cassini has shown, the moon is clearly still extremely active, suggesting something else is happening. "Where Enceladus gets the sustained power to remain active has always been a bit of mystery, but we've now considered in greater detail how the structure and composition of the moon's rocky core could play a key role in generating the necessary energy," says lead author Gaël Choblet from the University of Nantes in France. Over time, cool ocean water seeps into the moon's porous core. Pockets of water reaching deep into the interior are warmed by contact with rock in the tidally heated interior and subsequently rise owing to the positive buoyancy, leading to further interaction with the rocks. The heat deposited at the boundary between the seafloor and ocean powers hydrothermal vents. Heat and rocky particles are transported through the ocean, triggering localised melting in the icy shell above. This leads to the formation of fissures, from which jets of water vapor and the rocky particles from the seafloor are ejected into space. In the graphic, the interior 'slice' is an excerpt from a new model that simulated this process. The orange glow represents the parts of the core where temperatures reach at least 90°C. Tidal heating owing to the friction arising between particles in the porous core provides a key source of energy, but is not illustrated in this graphic. The tidal heating results primarily from the gravitational pull from Saturn.